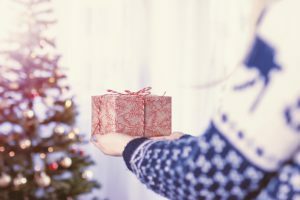 Landlords who are paid quarterly are currently wondering whether 25 December will bring them an unwanted Christmas gift, their tenant’s insolvency. Any business which is in financial trouble will be looking to see if they can afford the next quarter rent payment. They may have already taken advice and been told to hold off liquidation until the next rent payment has fallen due. When a company does enter into liquidation the liquidator has the ability to disclaim onerous property, which will include the insolvent tenant’s liability under a lease. The disclaimer ends all of the tenant’s rights, interests and liabilities. The landlord who will have to carefully consider their next steps now that the rent due will not be paid. When a landlord realises that a tenant has entered into liquidation there may well be a period of uncertainty whilst they wait to see if a disclaimer is going to be served. The liquidator can choose when to serve the Disclaimer. One option open to the landlord is to take the step of serving the liquidator with a notice to elect. Once served the liquidator has 28 days to disclaim the lease or lose their right to do so (unless the liquidator makes a court application to extend this time limit). If the lease is disclaimed then the practical effect is that whilst tenant company is released from its obligations, third parties are not released from their obligations. Former tenants (not released pursuant to the Landlord and Tenant Covenants Act 1995) and guarantors remain liable both for liabilities before and after the disclaimer. A former tenant can also, in certain circumstances, find themselves called upon to take on the remaining period of the lease. The landlord will need to ensure that such rights are not given up or lost by their actions. Following a disclaimer the liability for rates falls upon the person now entitled to possession, if this is the landlord this is a further financial blow. However, it is not all bad news for the landlord. There is always the possibility that where there is no Disclaimer served at the outset of the liquidation the liquidator wants to continue to use the premises. In this situation any rent that falls due while the property is being used by the liquidator ranks an expense of the liquidation, meaning it must be paid in priority to other debts. The contents of this article are intended for general information purposes only and shall not be deemed to be, or constitute legal advice.